Attractive to the eye, these protective silicone gel cases have fun Disney Fan Art designs printed onto them. Each cover has a raised bumper rim providing protection for the top, bottom and sides of your phone. Disney Case/Cover For Apple iPhone 7 (4.7") / Screen Protector / Silicone Gel TPU / Snow White / iCHOOSE BITZ. Case Style: Disney. Attractive to the eye, these protective silicone gel cases have Disney designs printed onto them. Disney Case/Cover For Apple iPhone 8 Plus (5.5") / Screen Protector / Silicone Gel TPU / Lion King / iCHOOSE BITZ. Case Style: Disney. 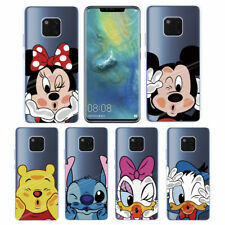 Attractive to the eye, these protective silicone gel cases have Disney designs printed onto them. Cute Mickey & Minnie Disney Gel Case/Cover for iPhone 8 / Screen Protector 4.7"
Cute Mickey & Minnie Disney Gel Case/Cover for Apple iPhone 8 / Screen Protector 4.7" / iCHOOSE BITZ. Attractive to the eye, these protective silicone gel cases have Disney Fan Art designs printed onto them. Disney Fan Art Case/Cover For Samsung Galaxy S7 Edge (G935) / Screen Protector / Silicone Gel TPU / Beauty & Beast / iCHOOSE BITZ. Case Style: Disney Fan Art. Attractive to the eye, these protective silicone gel cases have cool Disney Fan Art designs printed onto them. 3 Disney iPhone 5,5s & SE back covers. IPhone 5,5s & SE Genuine Disney Back Covers. All in very good condition. 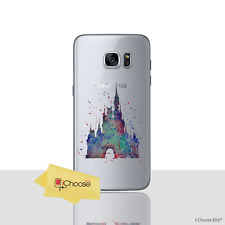 Disney Fan Art Case/Cover For Samsung Galaxy S6 / Screen Protector / Silicone Gel TPU / Castle / iCHOOSE BITZ. Attractive to the eye, these protective silicone gel cases have Disney Fan Art designs printed onto them. Disney Fan Art Case/Cover For Samsung Galaxy S6 Edge (G925) / Screen Protector / Silicone Gel TPU / Tinkerbell / iCHOOSE BITZ. Case Style: Disney Fan Art. Attractive to the eye, these protective silicone gel cases have cool Disney Fan Art designs printed onto them. Disney Castle Fan Art Case/Cover For Samsung Galaxy S7 (G930) / Screen Protector / Silicone Gel TPU / iCHOOSE BITZ. Attractive to the eye, these protective silicone gel cases have fun Disney Fan Art designs printed onto them. Disney Fan Art Case/Cover For Samsung Galaxy S6 (G920) / Screen Protector / Silicone Gel TPU / Mickey & Minnie / iCHOOSE BITZ. Case Style: Disney Fan Art. Attractive to the eye, these protective silicone gel cases have cool Disney Fan Art designs printed onto them. 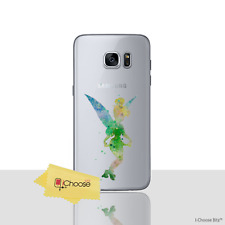 Disney Fan Art Case/Cover For Samsung Galaxy S6 (G920) / Screen Protector / Silicone Gel TPU / Tinkerbell / iCHOOSE BITZ. Case Style: Disney Fan Art. Attractive to the eye, these protective silicone gel cases have cool Disney Fan Art designs printed onto them. Disney Fan Art Case/Cover For Apple iPhone 7 (4.7") / Screen Protector / Silicone Gel TPU / Mickey & Minnie Mouse / iCHOOSE BITZ. Attractive to the eye, these protective silicone gel cases have fun Disney Fan Art designs printed onto them. 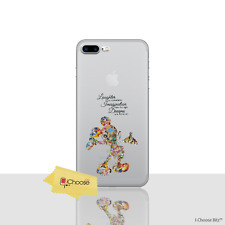 Disney Fan Art Case/Cover For Apple iPhone 8 (4.7") / Screen Protector / Silicone Gel TPU / Olaf / iCHOOSE BITZ. Attractive to the eye, these protective silicone gel cases have fun Disney Fan Art designs printed onto them. Attractive to the eye, these protective silicone gel cases have cool Disney Fan Art designs printed onto them. Each cover has a raised bumper rim providing protection for the top, bottom and sides of your phone. Disney Fan Art Case/Cover For Samsung Galaxy S7 Edge (G935) / Screen Protector / Silicone Gel TPU / Tinkerbell / iCHOOSE BITZ. Case Style: Disney Fan Art. Attractive to the eye, these protective silicone gel cases have cool Disney Fan Art designs printed onto them. Disney Fan Art Case/Cover For Samsung Galaxy S7 (G930) / Screen Protector / Silicone Gel TPU / Minnie Mouse / iCHOOSE BITZ. Case Style: Disney Fan Art. Attractive to the eye, these protective silicone gel cases have cool Disney Fan Art designs printed onto them. Disney Fan Art Case/Cover For Samsung Galaxy S7 (G930) / Screen Protector / Silicone Gel TPU / Tinkerbell / iCHOOSE BITZ. Case Style: Disney Fan Art. Attractive to the eye, these protective silicone gel cases have cool Disney Fan Art designs printed onto them. Disney Fan Art Case/Cover For Samsung Galaxy S7 Edge (G935) / Screen Protector / Silicone Gel TPU / Disney Castle / iCHOOSE BITZ. Case Style: Disney Fan Art. Attractive to the eye, these protective silicone gel cases have cool Disney Fan Art designs printed onto them. Cute Disney Castle Soft Case/Cover for Apple iPhone 8 (4.7") / Screen Protector / iCHOOSE BITZ. 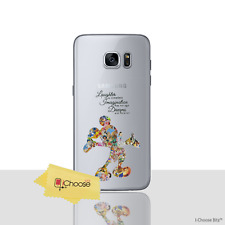 Attractive to the eye, these protective silicone gel cases have Fan Art designs printed onto them. Each cover has a raised bumper rim providing protection for the top, bottom and sides of your phone. Disney Fan Art Case/Cover For Samsung Galaxy S6 Edge (G925) / Screen Protector / Silicone Gel TPU / Disney Castle / iCHOOSE BITZ. Case Style: Disney Fan Art. Attractive to the eye, these protective silicone gel cases have cool Disney Fan Art designs printed onto them. Disney Fan Art Case/Cover For Samsung Galaxy S7 Edge (G935) / Screen Protector / Silicone Gel TPU / Mickey Mouse / iCHOOSE BITZ. Case Style: Disney Fan Art. Attractive to the eye, these protective silicone gel cases have cool Disney Fan Art designs printed onto them. 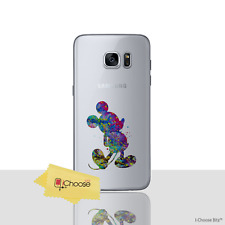 Disney Fan Art Case/Cover For Samsung Galaxy S6 (G920) / Screen Protector / Silicone Gel TPU / Mickey Mouse / iCHOOSE BITZ. Case Style: Disney Fan Art. Attractive to the eye, these protective silicone gel cases have cool Disney Fan Art designs printed onto them.